​10 years ago - Norda Cantrell's egg, a relic from the Teth-Adam court, hatches. Norda battles Hawkman, but soon returns to the mountains of Khandaq. 3 years ago - 7-year-old Northwind is brought into the Khandaq court of Black Adam. Northwind was originally a character from Infinity Inc, a next-generation team spinning out of the classic Justice Society. We've mentioned them a few times on the website, and how the Crisis of Infinite Earths redefined the JSA in ways that made this team fundamentally broken and forced writers to really work to save fan favorite characters that were worth keeping around, like Jade. Northwind was NOT one of those characters. I'm not going to subject you to his original design, but suffice to say that if that was all he had going for him, this would be a character we could easily leave out. 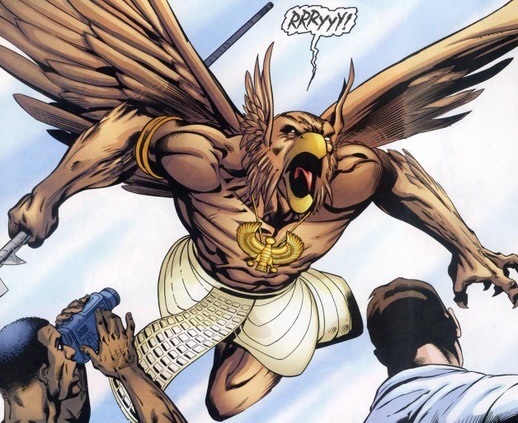 It was during the introduction of Black Adam's country of Khandaq that Norda recieved a pretty dramatic make-over based heavily on Hawkman's appearance from Kingdom Come, a story loaded with awesome character designs but that generally needs to be left as it's own little elseworlds niche rather than try to bleed into the continuity proper. In this case, though, it works. 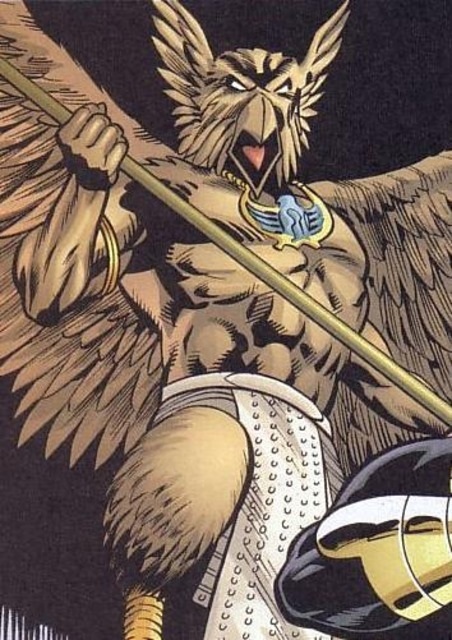 Northwind's redesign is a very cool character to have serving in Black Adam's court, and even allowed us to incorperate him as a one-time Hawkman foe. All in all, it's a pretty cool little nugget of a character.